The last income report I released was about 9 months ago, and a TON of things have happened on the blog since then. It’s high-time to share some insights and behind-the-scenes stuff. I don’t enjoy most blog income posts–I understand they are great marketing, especially for those bloggers making 5-6 figures a month–but I personally believe they don’t add much value. 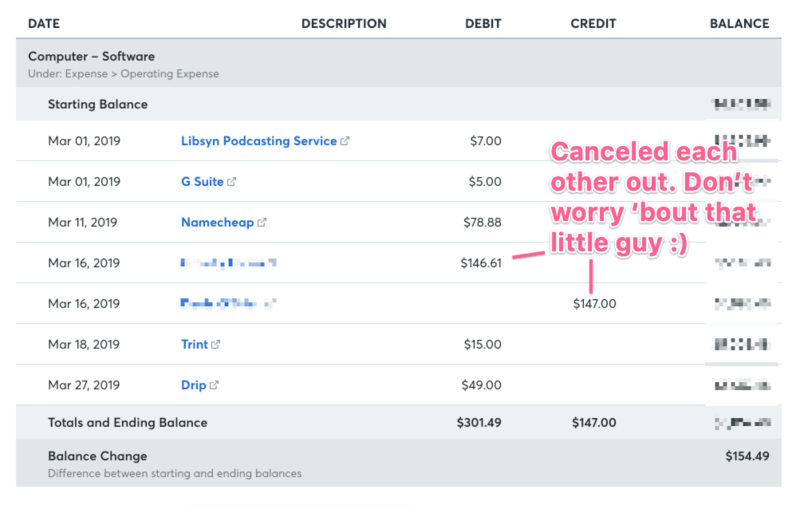 Below you’ll find not only how I made money below–but also why I had over $600 on blogging related expenses this month, what’s working well, what didn’t work at ALL, etc. Here’s a snapshot of the past 6 months of revenue. Note: I accidentally left Amazon affiliate income out of these graphs. And all-time income since June 2017! Hey there’s a positive trend line there somewhere! Note: I’m using a different accounting software now, and the “gross” income figures are actually lowered net of refunds. That’s not a separate line item as an expense, etc. Affiliate income has been between $400-700 every single month for 6 months now. Not bad considering I’m still only around 15k page views a month lol. That’s roughly $0.04 per page view (just in aff marketing), which isn’t hot, but affiliate marketing isn’t my primary monetization method either. More good news: I’m not doing that much freelancing right now, either! 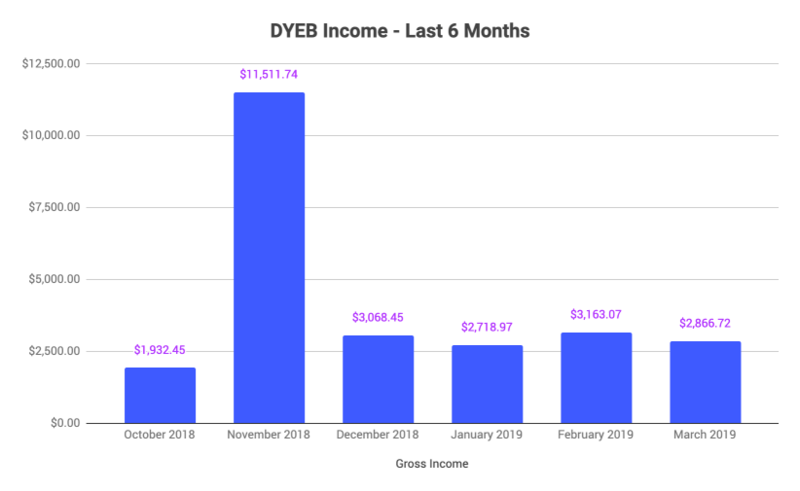 Freelancing used to make up 50-70% of my income earlier in DYEB, but I’m happy to report my course & bundle income has steadily grown over the past 6-9 months. We’ll talk more about this below. The Advertising budget was 100% Facebook ads. More on that below. Libsyn: For the daily podcast I was doing a while back, the 30-sec Blog & Business Tip. (P.S. Want me to keep that going? Drop me a comment below). Namecheap: Sooooo here’s how much of a nerd I am. I keep a Namecheap hosting package (not the cheapest one, either) for random projects and domains I do. No, it doesn’t host DYEB lol. I take comfort knowing I have a separate hosting package for all the little domains I buy up. Trint: I’ve been experimenting with podcast transcripts, and using Trint. I’m not super happy with them. Drip: email software, but this will be the last month you see them on here! Woot woot! Aside from email list growth–which I pay for–I honestly haven’t been growing that much. And while that might sound sad, the reality is this: I’ve had to focus on other things. I’d absolutely LOVE to do NOTHING but marketing. Pinterest, SEO, collabs, JVs, more speaking engagements, etc, but ever since the inception of Do You Even Blog, I’ve had to monetize. In order to put food on my family-of-four’s table. 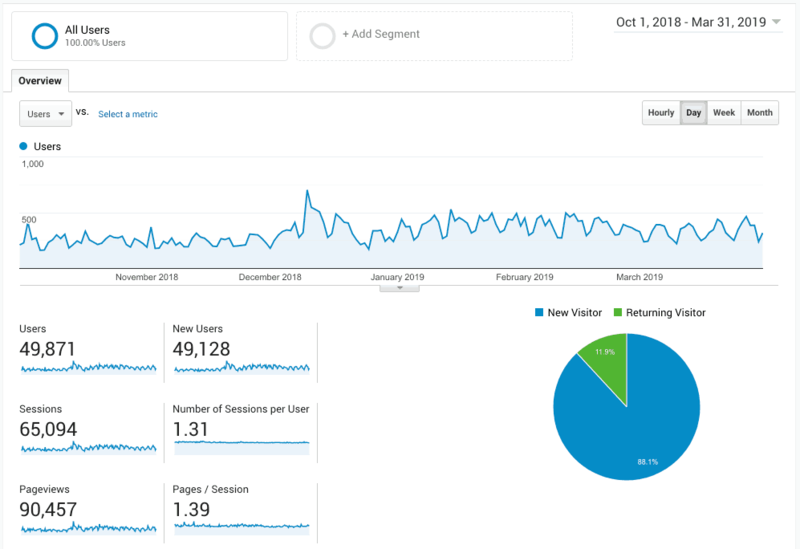 Truth be told, I wish I could’ve spent the entire past 22 months focusing 100% on SEO and collaborations–I might even have a much higher MRR (monthly recurring revenue) than I do today, but that wouldn’t have been possible. I needed money in months 0-6. Thanks to a little encouragement from my mastermind group, and a bit of whiskey, I’m slowly coming to grips with reality. The reality is I’m fine. 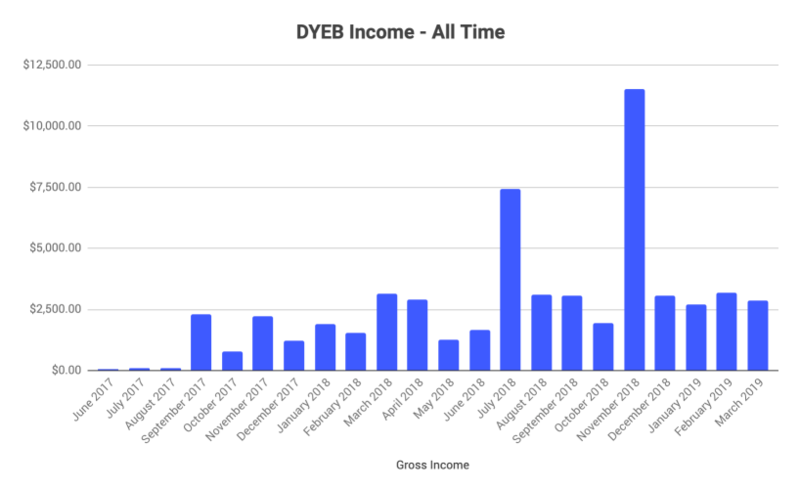 DYEB is income producing. I’ll create more programs and make existing courses better. Now it’s time to do that. While total monthly podcast downloads has been slow growing, that’s mainly due to the fact that I’m only releasing new episodes once a week, down from 2 a week. Downloads per episode have been steadily going up! Note: Did you enjoy my solo podcast episodes? Want me to bring those back for Friday releases? Please drop me a comment below! Also, 305 new email subscribers this month. Everything that falls under the “what worked” column also fell under the “what didn’t work” column. Over the past several years, I’ve run FB ads for myself and numerous clients, spending somewhere around $50k total probably. I’ve created campaigns that got $0.02 a click, and $0.25 conversions. But why oh why do DYEB’s own campaigns seem so much more difficult? 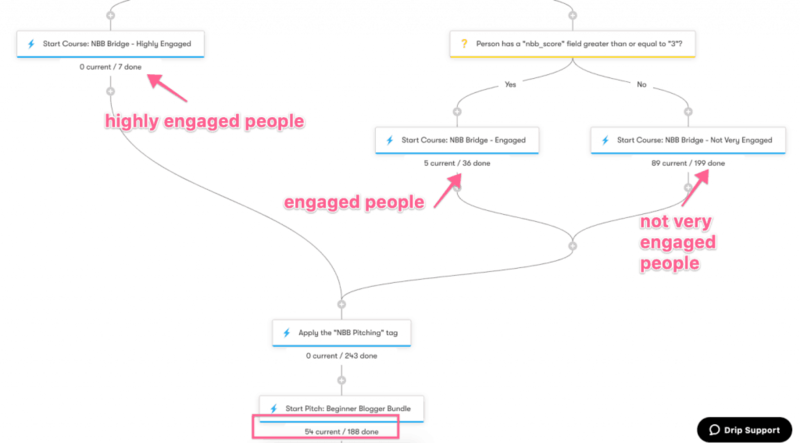 Since late February, I’ve been running paid reach into my New Blogger Bootcamp funnel. As of today, April 2, 2019, I only have 2 campaigns running, spending about $20/day, and averaging $1.30 per email subscriber. That’s decent enough for the niche, but March was all over the place, and it’s proven tough to optimize! #digitalmarketing is crazy town. Platform and domain name migration. I’ve also been moving all courses over to Thinkific, away from online course WordPress plugins, which I was disappointed with. I’ve set up my funnels to track engagement via “lesson completions,” which are action steps I ask each person to complete over 9 lessons. By the time bloggers go through the free course, they can have an “engagement score” from 0-10. I mean, yes, it’s cold traffic, people who mainly haven’t even set up a website yet, and it’s a free email course. Can you imagine me pitching these people a blogging course in the next few months? Well I did–and I’ve made either $458 or $707 from the 188 bloggers who have gone through the entire funnel (which takes anywhere from 2 weeks to 2 months). Note: I’ve had a bit of trouble tracking purchases. That’s why it’s either $458 or $707. I’ll hopefully figure that part out. I hereby admit to subjecting myself to the whole “type-A,” “driven,” “NO growth would probably satisfy me” mindsets. And that can be destructive. At the end of the day, the past several months have been FANTASTIC for Do You Even Blog, and me personally. The site is still gaining ground for SEO and other organic growth channels. Income is still maintaining, even without big launches. Reader engagement is still great (drop me a comment below??). The reason March feels “meh” to me is due to a lack of a clear path forward. That has to change. There are loads of things I could do. Tons of different channels to try, products to create, and different monetization methods to experiment with. So the plan for April? Get back to growth strategies. Identify the offer that helps the most people, in the most effective way, and also sustains my business. Identify and plan accordingly. Drop me a comment, loyal Tribe member! How was your March blogging? Do you listen to DYEB’s solo episodes? Should I do more of those again? Great work Pete, love the detail – this is how all bloggers income reports should look. I’d argue that’s huge. Nice work! Total respect for the full transparency here Pete. I think you have a super solid foundation. 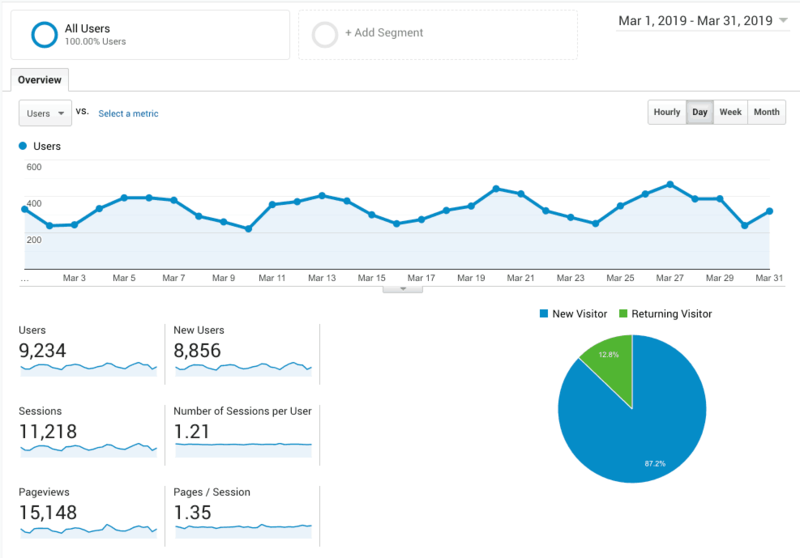 Although I don’t get near as much more they traffic as you, I can see how.your efforts are a solid platform for continued growth should you apply your April plan effectively. As for you solo podcasts, I like them. If they are filled with valuable content, even fundamentals like how you actually get the 15k monthly views, that’s would be great. And then interviews every second episode would be a good mix. Keep the solos coming. Interesting how Bluehost totally eclipses all the other affiliate income sources. Does the podcast seem to be bringing in much traffic for you? Great interviews there lately but I’m too new a fan to comment on the Friday solo episodes. Keep up the good work, Pete! And that’s 1000% true. It is a bit sad–but then again, I don’t actually promote that many affiliates outside of BH, Siteground, and ESPs. And everything else besides hosting only pays a few bucks a month at most lol. March was ok for me. Working hard on creating lots of content for an upcoming challenge. Thanks Jen! I sincerely appreciate that compliment 🙂 And what’s the challenge? In March, I completed a site audit of my site, where I actually ended up DELETING about 150 posts off my site… and have since combined, merged, and edited about 100 to make them more valuable. Google seems to have noticed (which was the intent), as I’m now up to ~300 search referrals a day (from ~200 in Dec/Jan). Keep it going Pete, love these reports and seeing what others are doing and thinking. I really appreciate the transparency of these reports, Pete. Thanks! I listen to all the podcasts now and your latest interviews have been fantastic. I would listen to solo episodes for sure. As far as my blog – March was good. I’m seeing slow but steady traffic and subscriber growth. I also confirmed that it’s nowhere near stable yet – I took an 8-day roadtrip during which my online engagement and promotion was way down. Instant traffic drop! Not a surprise for a new site. I look forward to seeing where you go with the new clear path! Interesting about the drop-off. What month are you in? It was the end of month 4. Traffic still up (slightly) for the month, but slid back that week. As someone who (very vocally) doesn’t focus on the income side of blogging on purpose, I actually love reading these kinds of updates. I’m still trying to figure out why, but I think a lot has to do with seeing others be successful with things they’re passionate about. And obviously, since this is your “day” job, it’s pretty dang important you make income to go along with it! That’s definitely pressure I don’t have to deal with, and definitely a large part why monetization hasn’t been important to me thus far. Thanks for being here, btw! Hey Pete! Great income report format. Have you ever tested “at your own pace” (idea from Brennan Dunn) email courses in Drip? We see much better engagement and conversions when we added a “Send Next Lesson” button to the bottom of our course emails. Some people go through multiple lessons in a day. Drip’s events make this pretty easy to setup. You may be doing this already. I can’t see in your Drip automation. I like your use of lead scores! That’s something I need to do more. oh hey Donnie! Good to see you here!